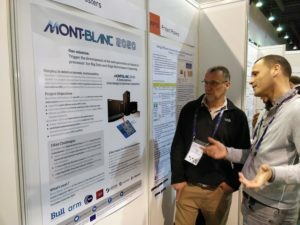 Scientific papers, posters, workshops, booth… the Mont-Blanc partners had worked hard to make our projects very visible at ISC, and share our vision and findings with the HPC community gathered in Frankfurt. 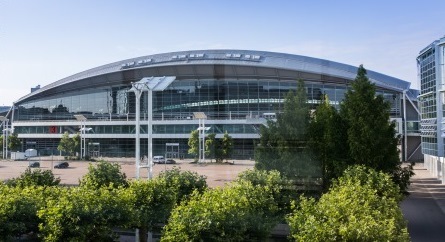 For those who were not with us in Frankfurt – and did not follow us on Twitter during ISC – here is an overview. 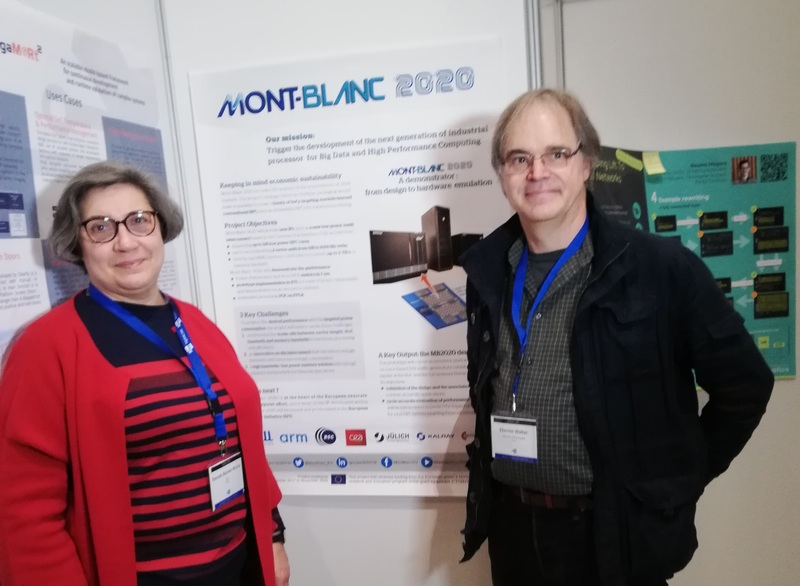 Mont-Blanc was sharing the “European Exascale Projects” booth M-214 with European projects SAGE and DEEP-EST. 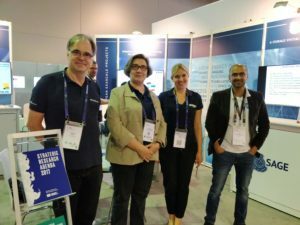 We exhibited the motherboard of our Dibona prototype, equipped with its Cavium ThunderX2 processors – the full blade was exhibited on the Atos booth. 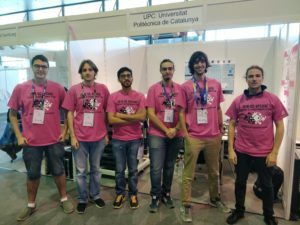 The Universitat Politècnica de Catalunya (UPC) team sponsored by BSC and Mont-Blanc competed in the Student Cluster Competition. 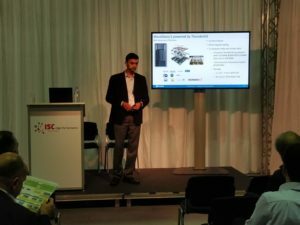 If you are not yet convinced of the benefits of the Student Cluster Competition, listen to the interview of Daniel Ruiz Munoz – student in the UPC SCC team in previous years, advisor to the team this year, and now working for Arm Research. 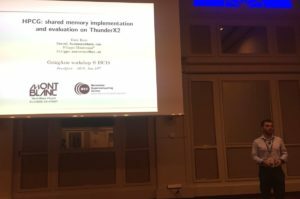 Roxana Rusitoru (leader of Software Ecosystem in Mont-Blanc 3) and Jonathan Beard from Arm organised another successful edition of their GoingArm for HPC workshop on Thursday, 28 June, in front of a large audience. 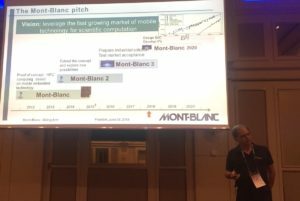 The agenda included a significant proportion of speakers currently or formerly involved in Mont-Blanc / Mont-Blanc 2020!